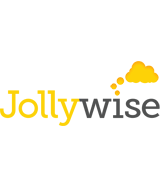 It’s been a jolly good year for Jollywise with lots of new arrivals (new staff babies, new awards…) and inspiring projects. We’ve had our hands full helping all our amazing clients with their campaigns. Too much has happened this year to list it all, so we’ve selected some of the best highlights and events below to help you celebrate the year with us. We’ve had two new babies born to staff: one baby boy born to Jess Biggs our Account Manager (currently on maternity leave) and one baby girl born to our Account Director Jody Minton. A huge congratulation to both and their respective partners for bringing new, unique minds into the world! This year also saw us win three shiny new awards! We won two Lovie awards for our work on How to Survive a Nuclear Bomb (a project we worked together with BBC Connected Studios and the BBC History team on), which won the Bronze and People's Lovie awards in the Web: Schools & Education category. We won a BIMA award for this project as well. Speaking of merriment and joy, 2016 saw Jollywise reach 10 years as an agency, and we celebrated with all our past and current clients in the lovely Beach Side café in Hove. There were games, photo booths and even mini-golf for everyone to enjoy. The team also surprised Jon Mason with a special ‘thanks for everything boss’ gift painted by our very own in-house illustrator Daz. 2016 has been really busy for us and many of us haven’t had a free moment to pause and really reflect and appreciate all of our successes and achievements. To remedy this, I asked our Managing Director [Jon Mason] what he thought our 2016 highlights were. “Outside of servicing our clients we’ve taken some time out this year to focus on developing some of our own products and services —which has been very exciting. We’ve made great headway with our Make a Game Party initiative, encouraging and celebrating children’s imagination and creativity with a product aimed at parents who want to organise a kids party with a difference. We launched a fundraising initiative with Symas the Monkey, trying to save endangered species around the world. Our work continues in the education space with our partnership with Amazing People Worldwide and pilot programme, which we’ve now helped launch in over 24 schools in both the UK and Australia. We’ve had the pleasure of working across a broad range of fantastic films this year, including Rogue One, Zootropolis, Trolls, and Doctor Strange. However, our personal favourite has been the creative freedom we’ve enjoyed on Disney’s Moana.